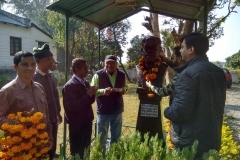 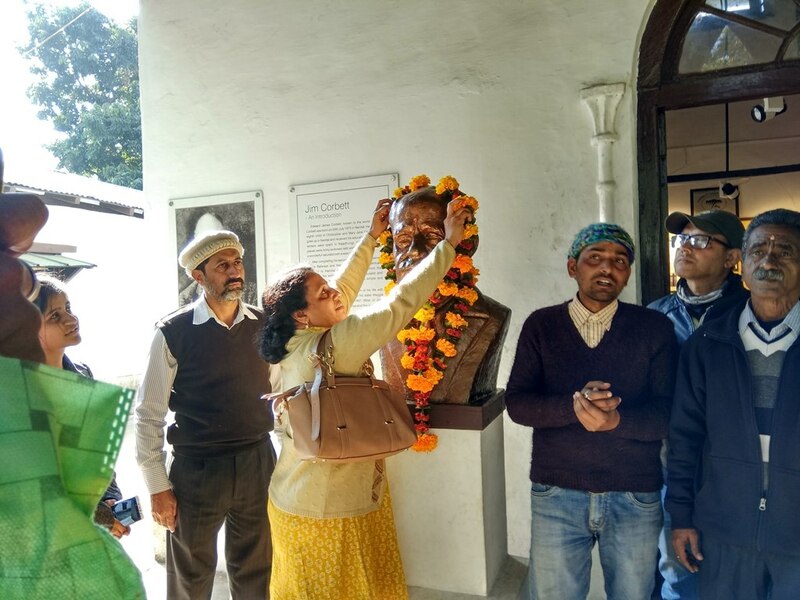 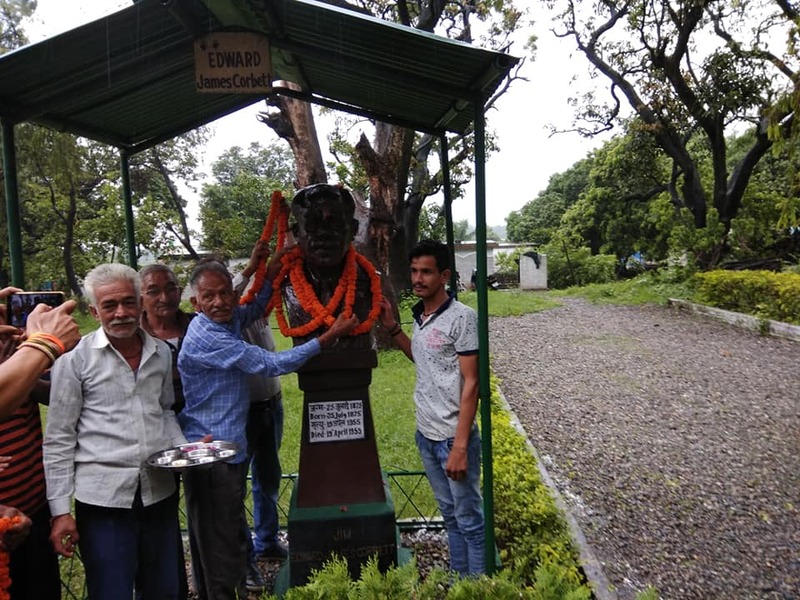 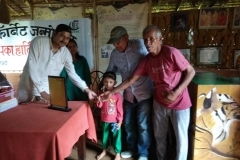 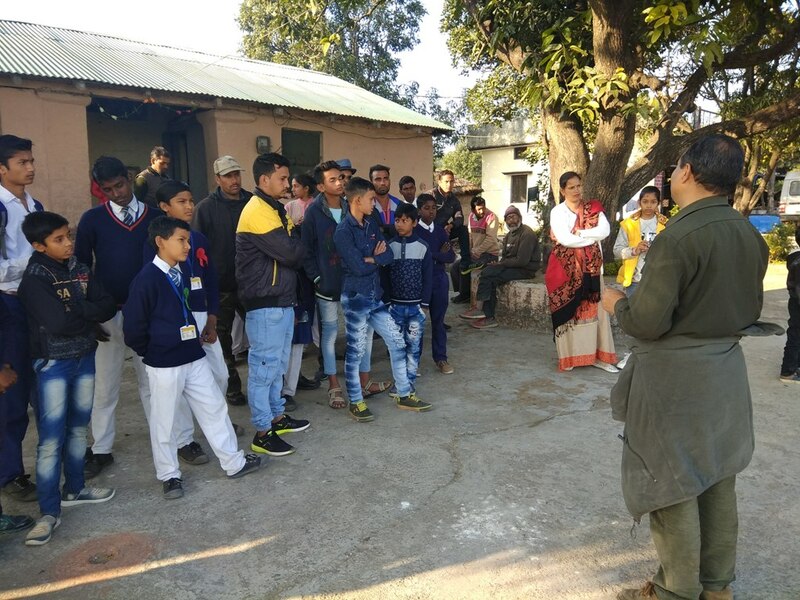 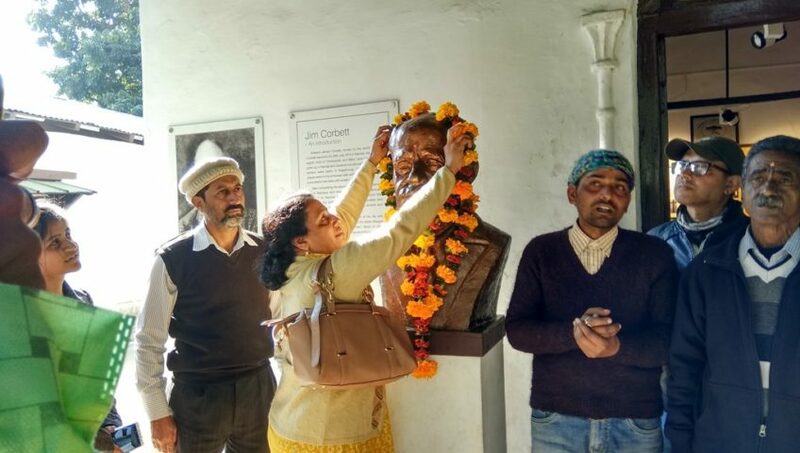 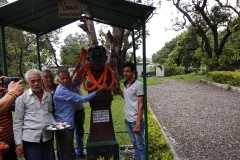 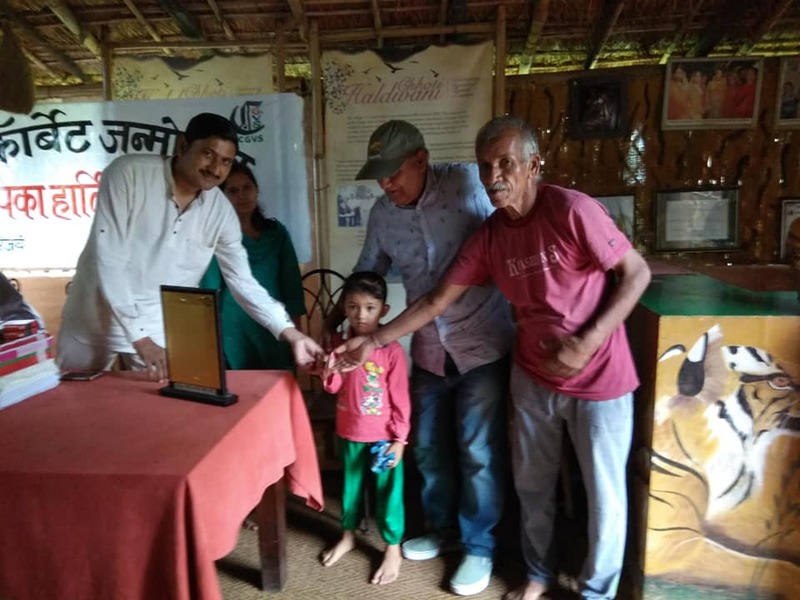 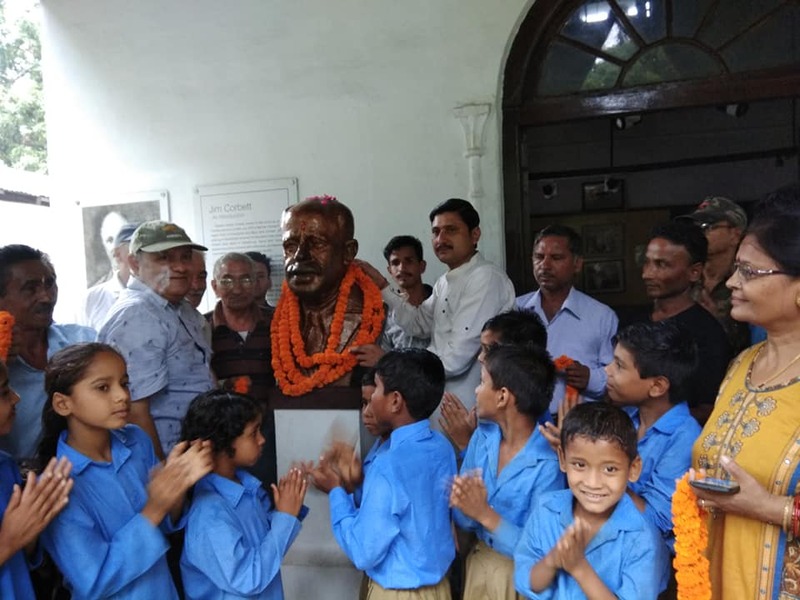 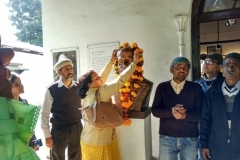 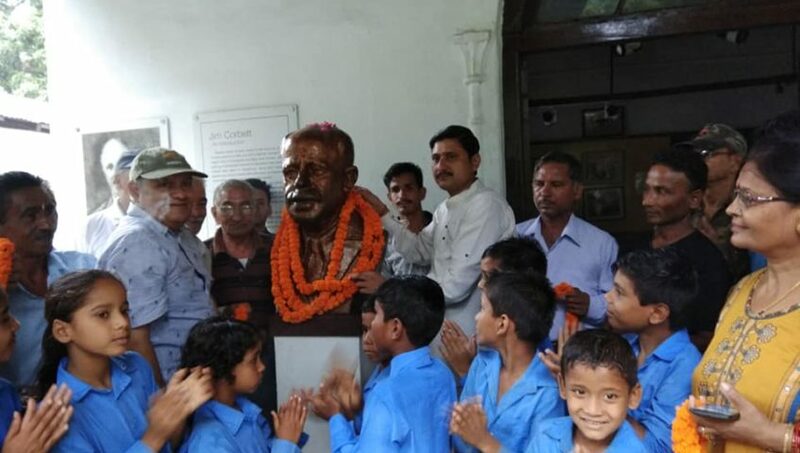 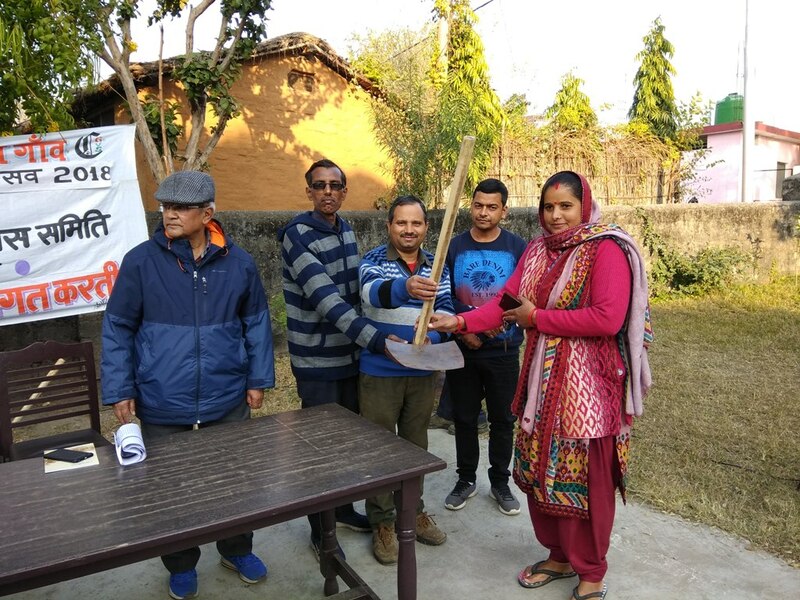 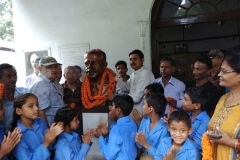 The 4th edition of Jim Corbett Heritage Village festival commenced on the 22nd of Dec with the garlanding of Jim Corbett statue at his Museum in Kaladhungi.The visitors from various states were introduced to the legacy of Jim Corbett. 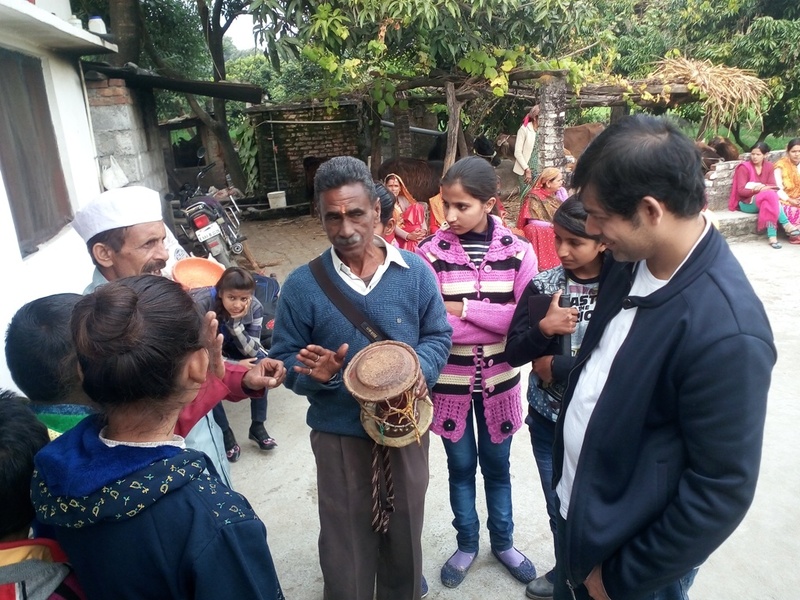 As a tradition, done by Corbett himself of distributing gram and gur during xmas the visitors too got a taste of it. 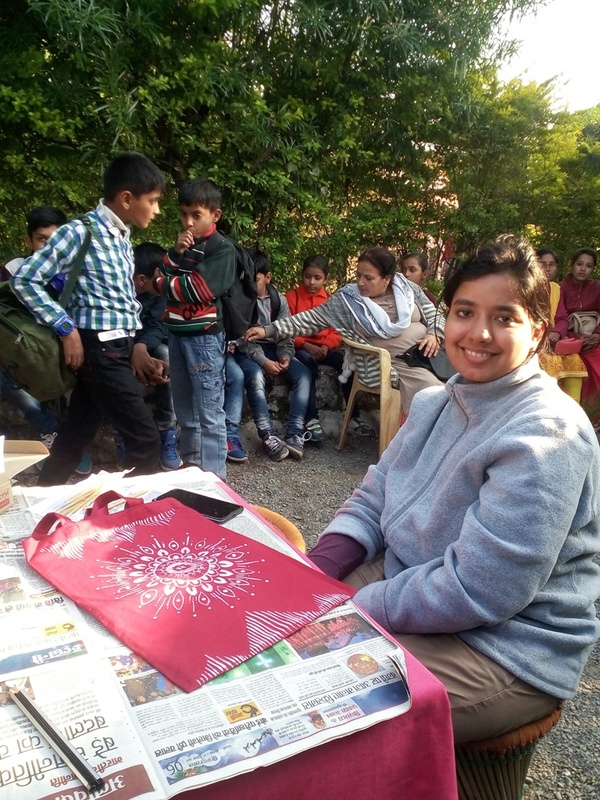 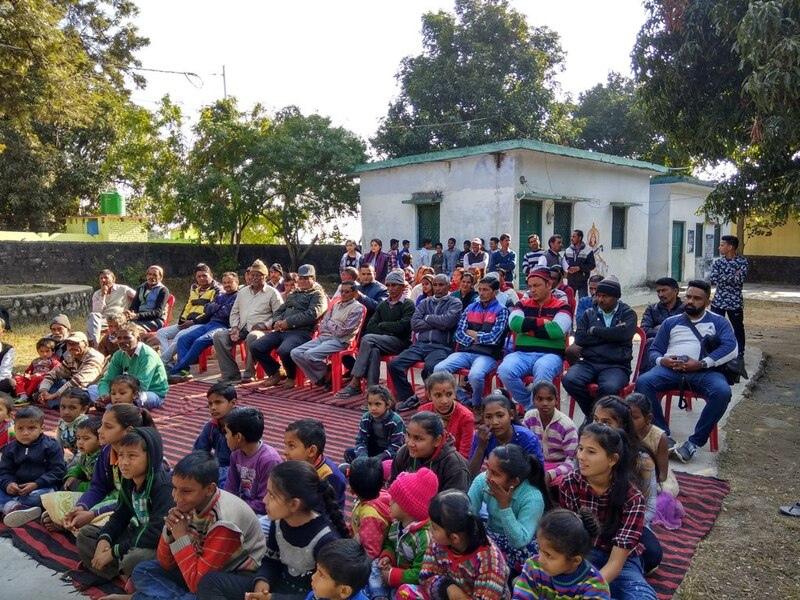 This year the festival reached out beyond Chotti Haldwani and involved students and communities of Fatehpur and Gadgadiya who are a part of an elephant corridor. 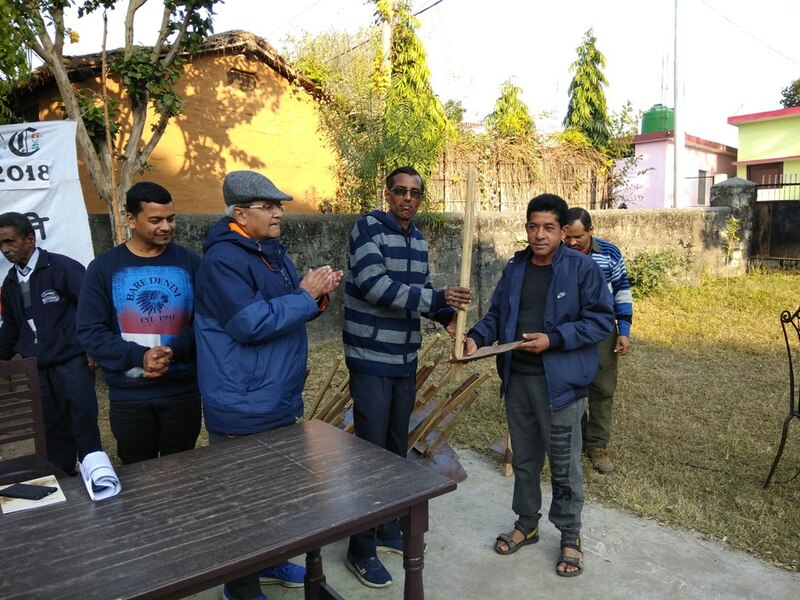 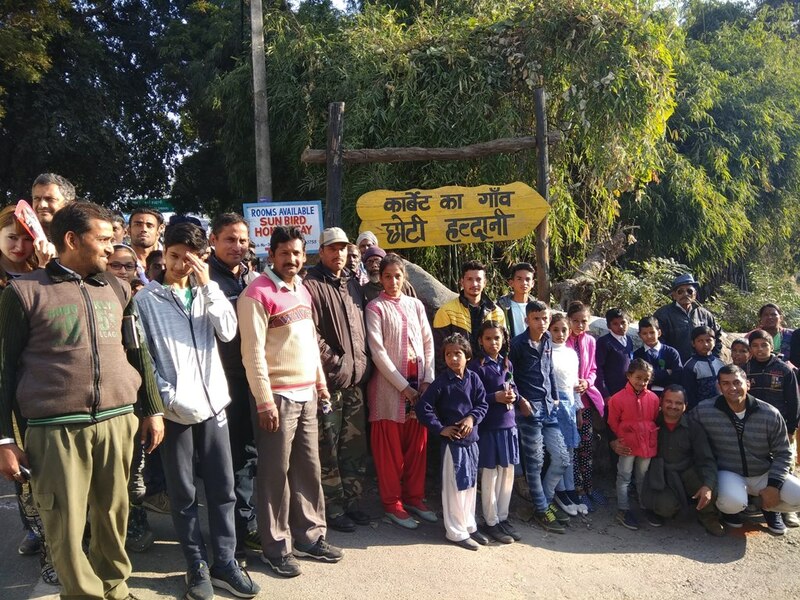 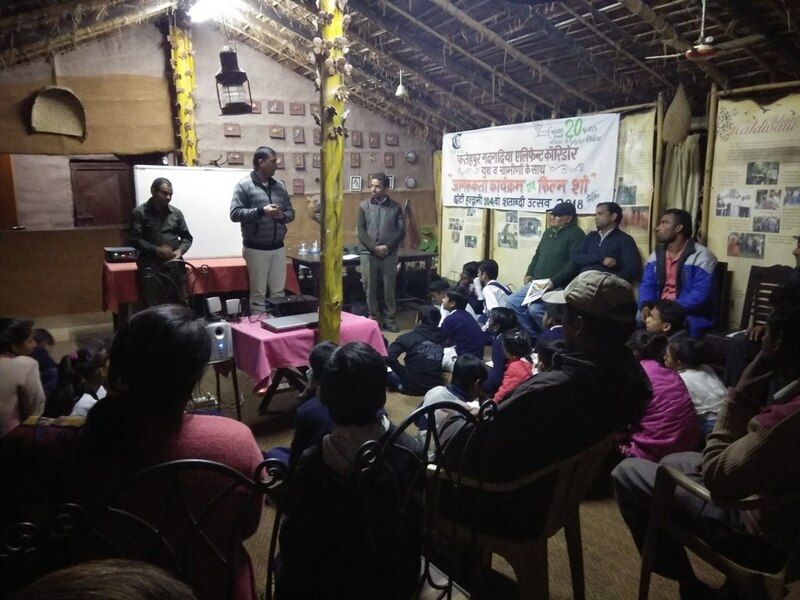 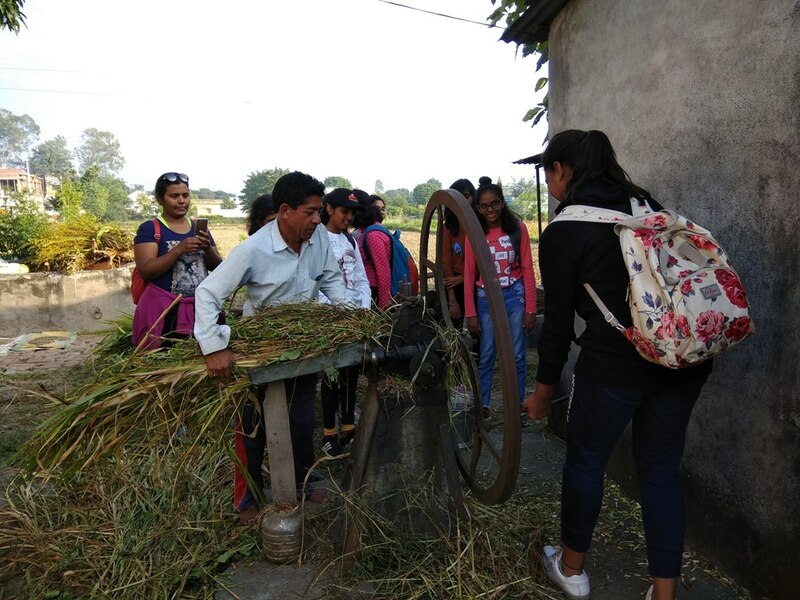 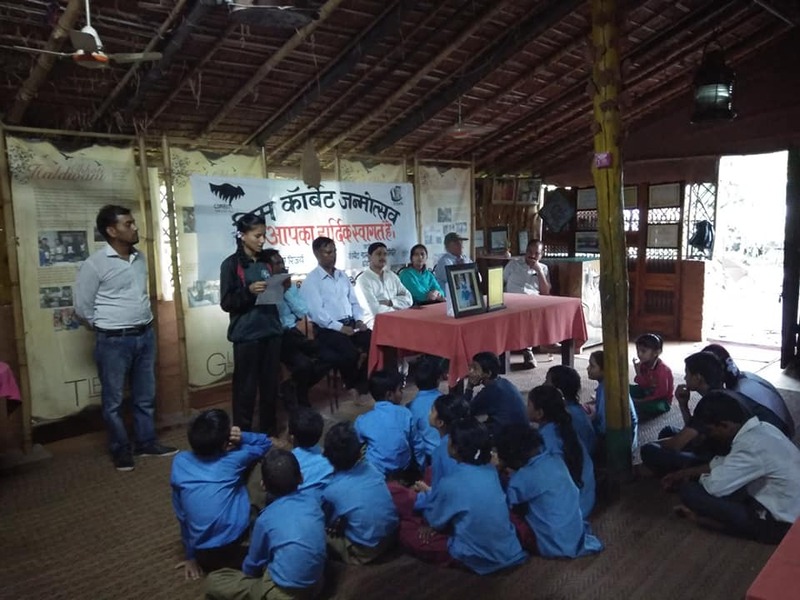 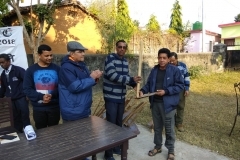 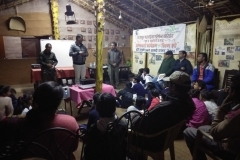 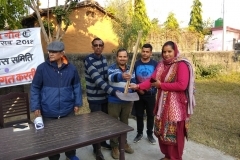 They were given a heritage tour of the village and along with the other participants shared the importance of elephants and corridors in wildlife conservation. 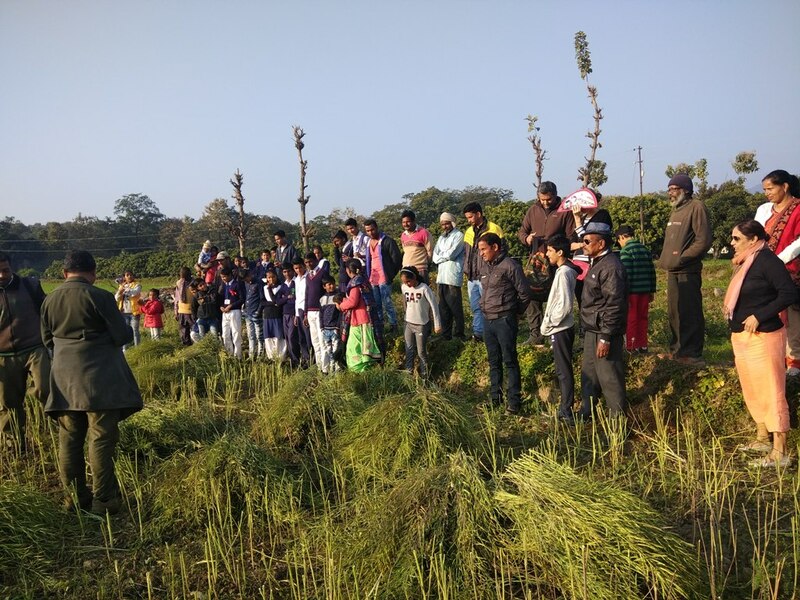 The farmers who have been initiated into organic farming where facilited and they shared their experiences with others to motivate them into organic farming so that the village would become 100% organic. 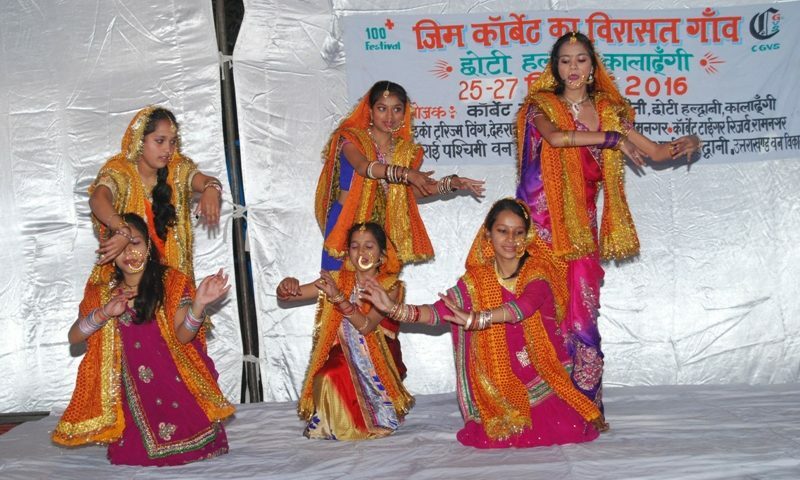 The festival over the years is evolving as a festival of the communities where participation of the children and women is increasing.They are contributing in taking forward the local culture. 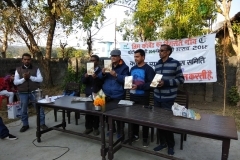 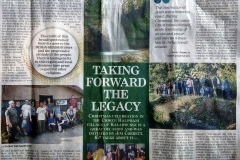 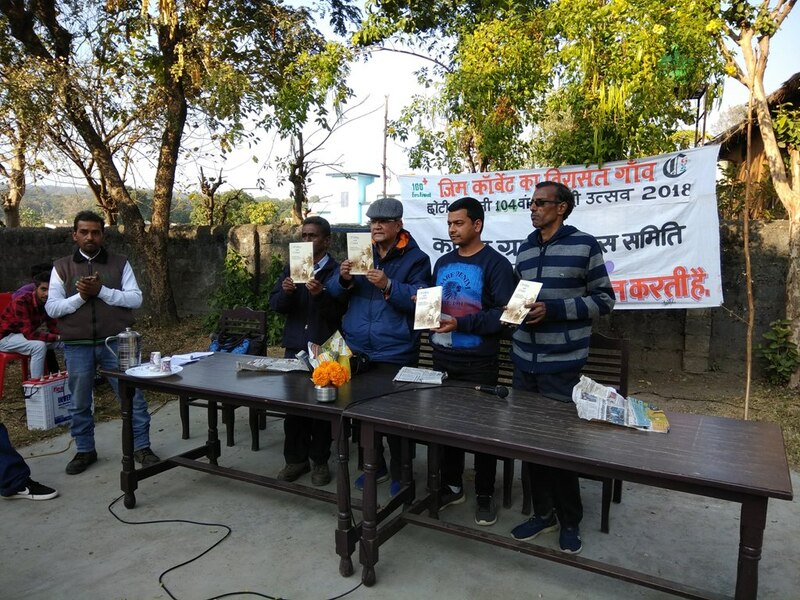 It is being looked forward too year after year.At this occasion Dr Ajay Rawat, noted historian, relased the third revised edition of Walking with Corbett, a walkaholic guide to the built heritage of Corbett in Kaladhungi and Nainital. 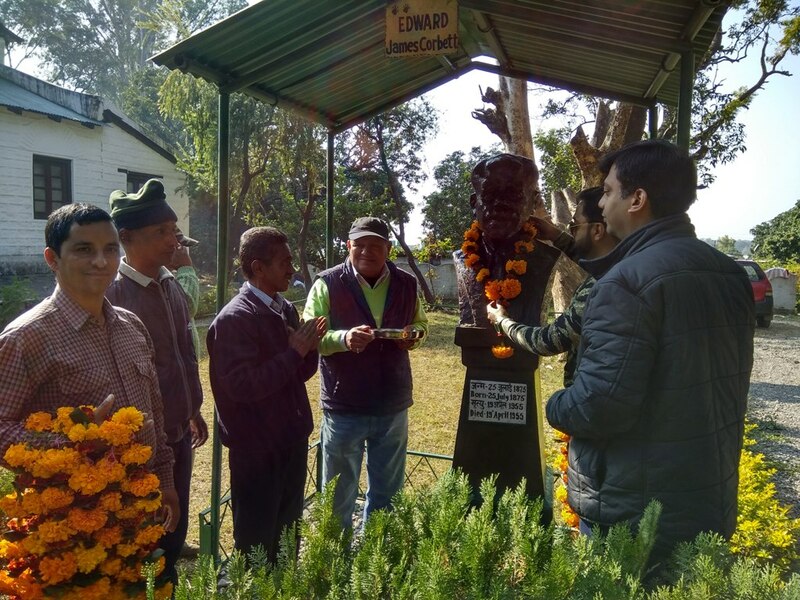 The Jim Corbett Heritage Village of Chotti Haldwani,Kaladhungi,Uttarakhand,announces the 4th edition of its centenary celebrations. 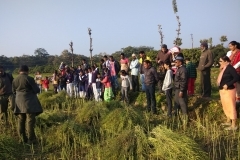 This year celebration is dedicated to “Farming” as the village has taken small steps towards going completely organic in farming. 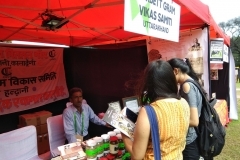 A host of hands-on activities like creating of vermicompost pits, demonstrations of biogas plants and organic farming etc will be a part of the programme including activites viz. 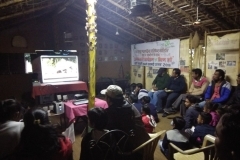 heritage walks, birdwatching, forest trails, village walks, cycling, traditional games,cultural programme, puppet & film shows and local food. 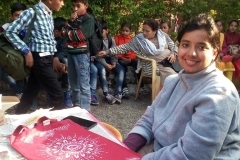 Book with us for 3 days 2 nights @ 3700 INR per person on twin sharing basis, boarding n lodging and a day visit @ 650 INR per person including a meal and n activity as per programme. 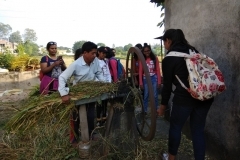 Since the festival is at the heritage village itself accommodation in homestays is limited. 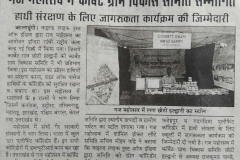 So hurry and book now. 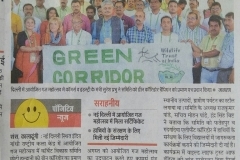 Wildlife Trust of India organized four-day long Gaj Mahotsav from August 12-15, 2018 at Indira Gandhi National Arts Centre, New Delhi. 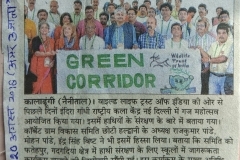 The key objectives of this event were to protect elephants and their corridors for safe passage. 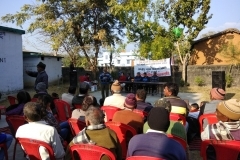 The representatives of non-governmental organizations from eight States of India viz. 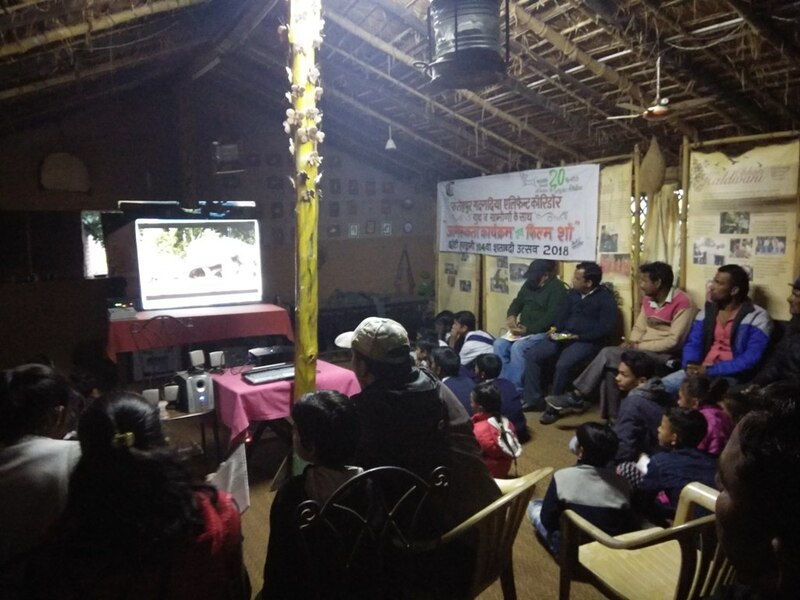 Karnataka, Odisha, Tamil Nadu, Maharashtra, Jharkhand, West Bengal, Kerala, and Uttarakhand which are actively involved in conserving the animal kingdom including elephants participated in this event. 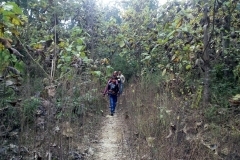 There are 101 Elephant Corridors in India and Wildlife Trust of India is working on all of them. 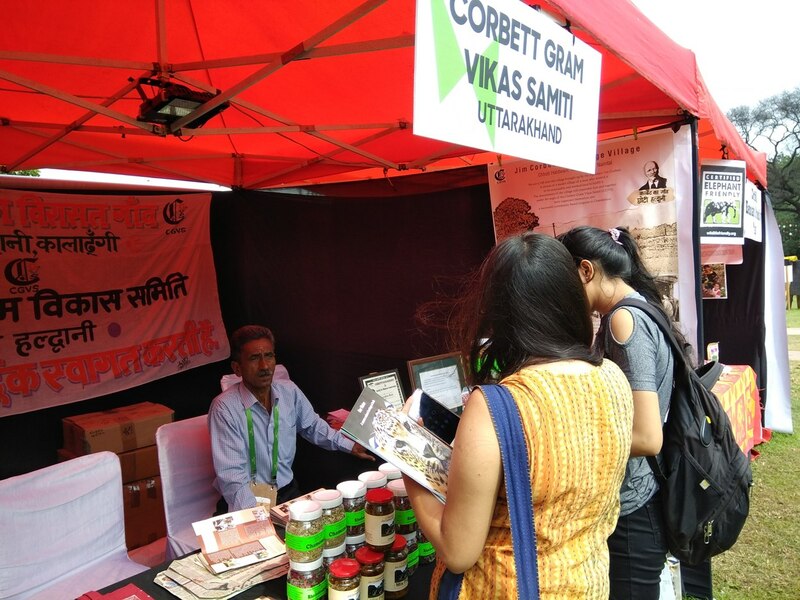 Corbett Gram Vikas Samiti, Chhoti Haldwani represented the State of Uttarakhand at the event. 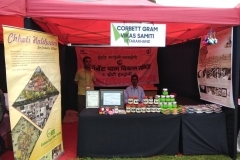 The Samiti also had its stall in order to endorse the notion of rural tourism and products by local community. 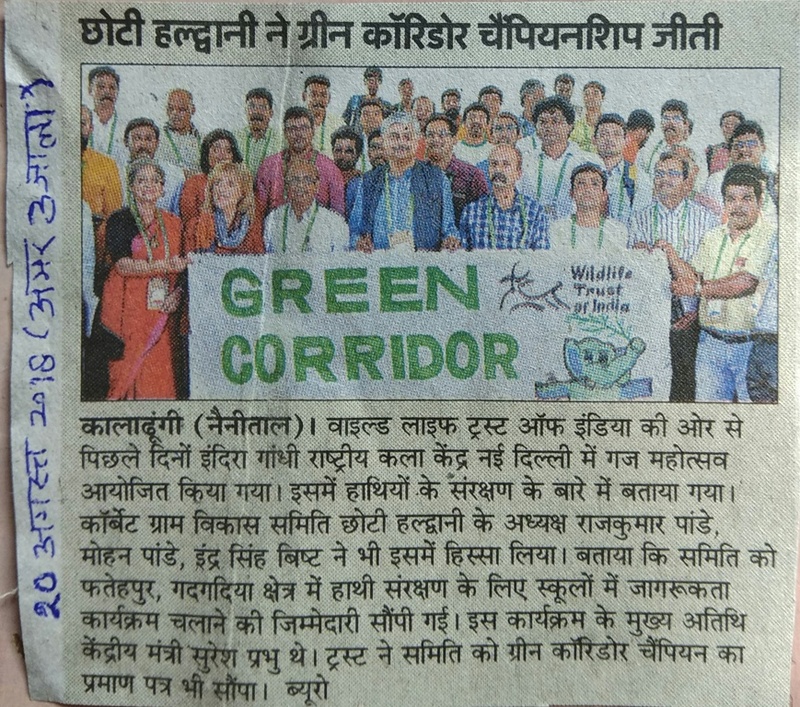 The Samiti received Certificate of Appreciation as Green Corridor Champions at the event. 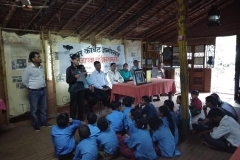 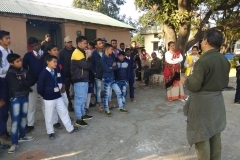 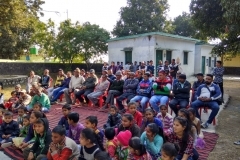 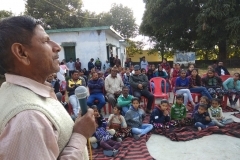 The Samiti has assumed the responsibility of creating awareness in the schools in the region regarding the protection of elephants at Fatehpur and Gadgadiya Elephant Corridors. 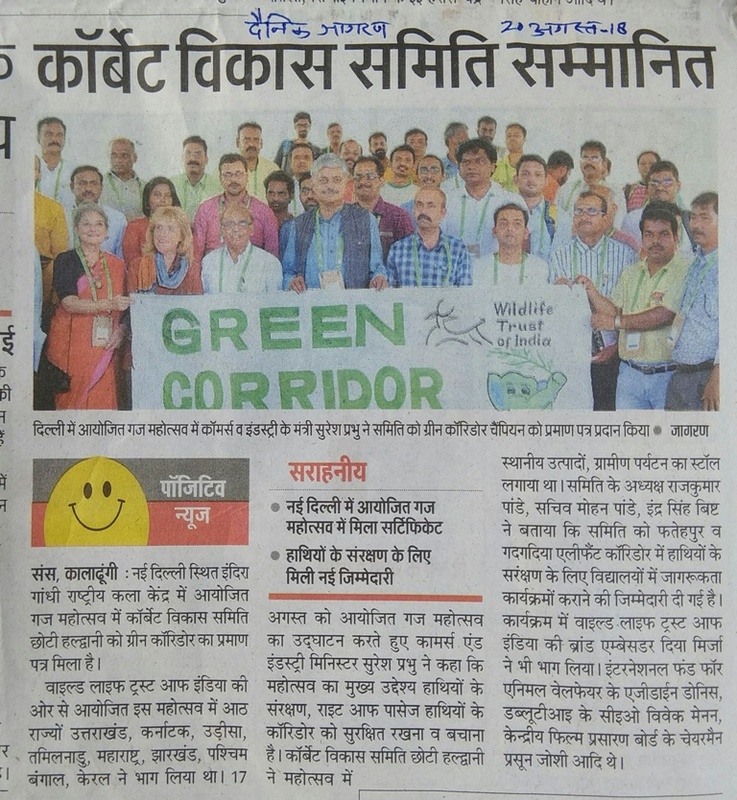 Mr. Suresh Prabhu, Honourable Union Minister of Commerce & Industry inaugurated the event. 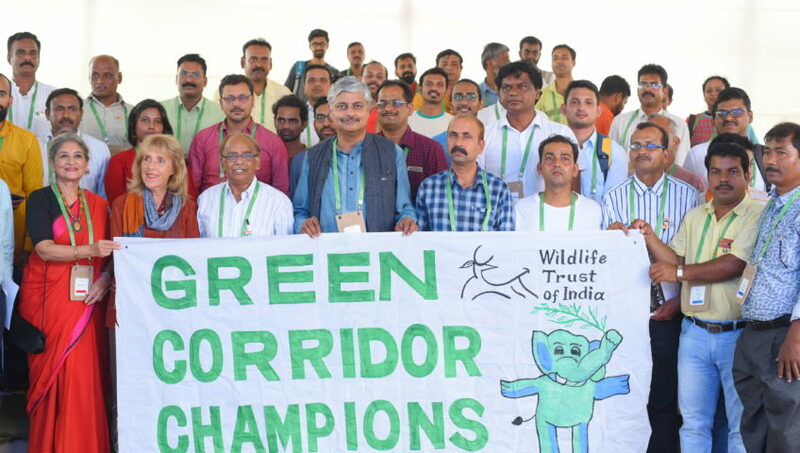 The event was attended by Mr. Vivek Menon, CEO, Wildlife Trust of India (WTI), Mr. Azidine Donnis of International Fund For Animal Welfare (IFAW), and Mr. Prasoon Joshi, Chairman, Central Film Board of India. 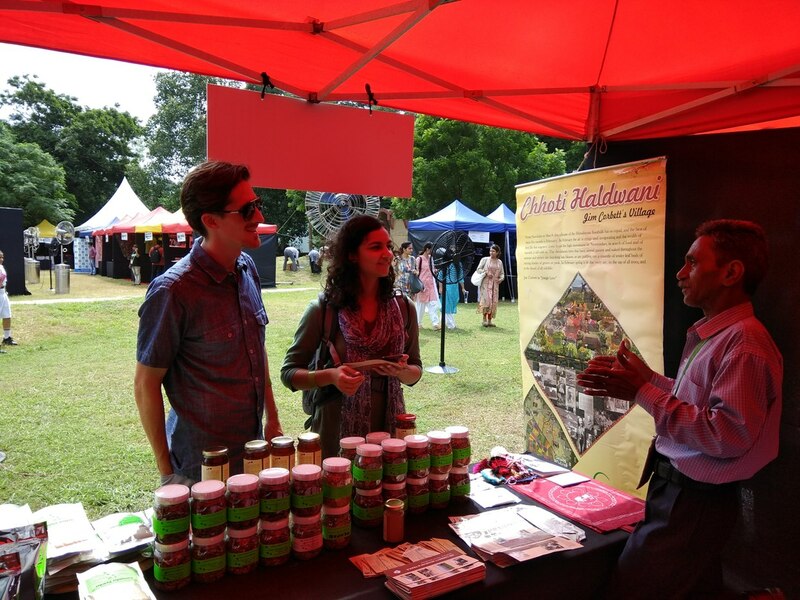 Mrs. Dia Mirza who is the Brand Ambassador of Wildlife Trust of India was also present. 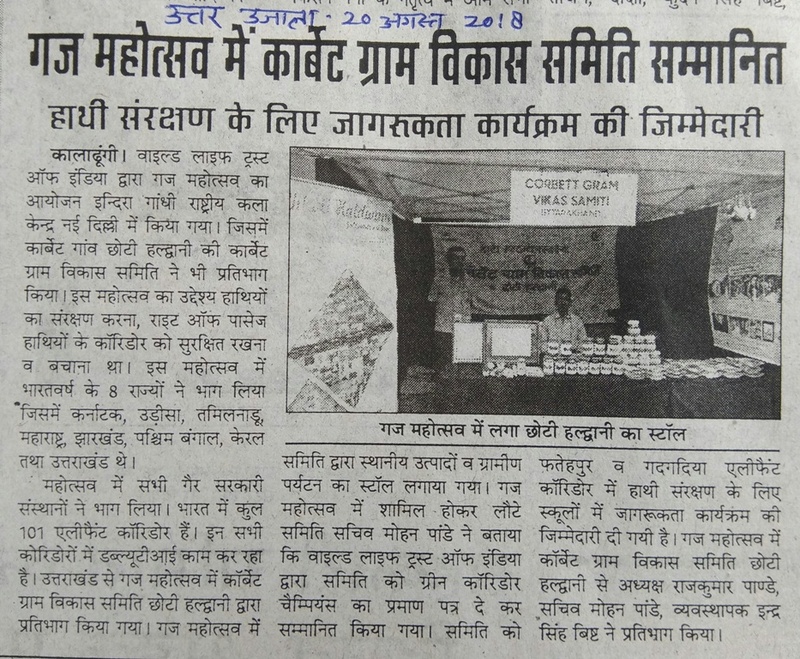 Mr. Rajkumar Pandey, President, Corbett Gram Vikas Samiti, Mr. Mohan Chandra Pandey, Secretary, Corbett Gram Vikas Samiti, Mr. Indra Bisht, Manager, Corbett Gram Vikas Samiti represented the Samiti and the State of Uttarakhand at the event. 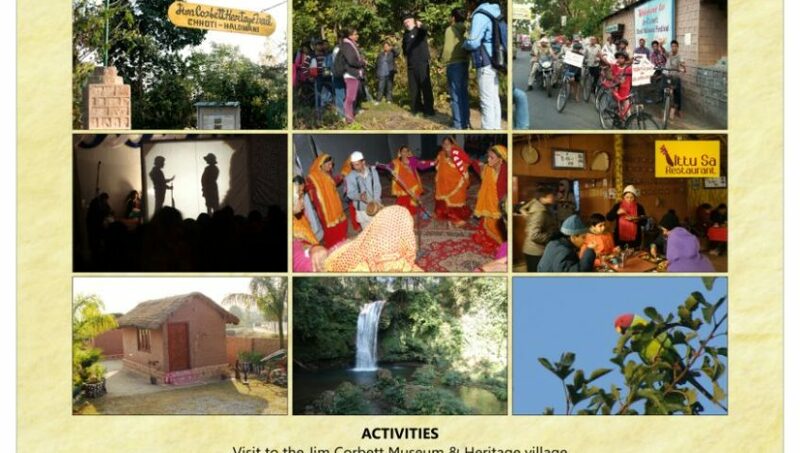 You are cordially invited to the Chotti Haldwani festival at the heritage village of the great hunter turned conservationist ‘Jim Corbett’. 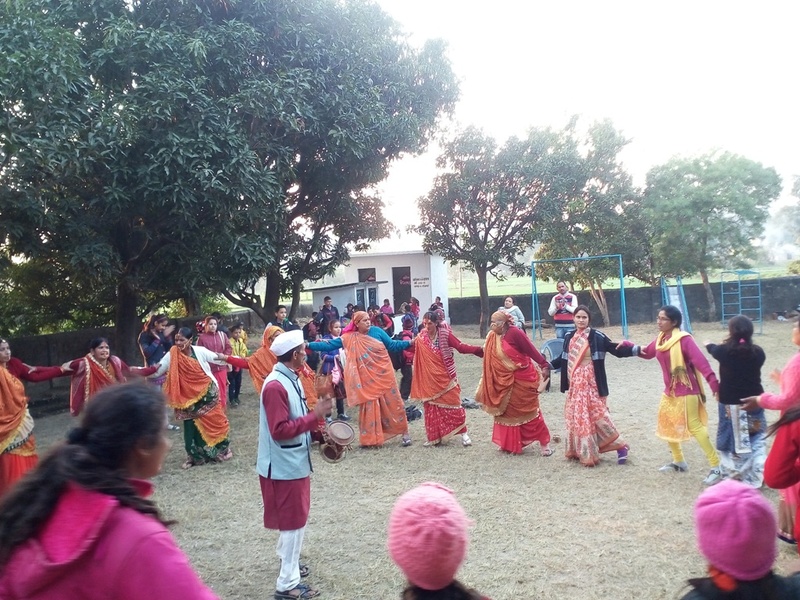 The festival is a unique celebration of nature, heritage and culture woven together by the community of Chotti Haldwani. 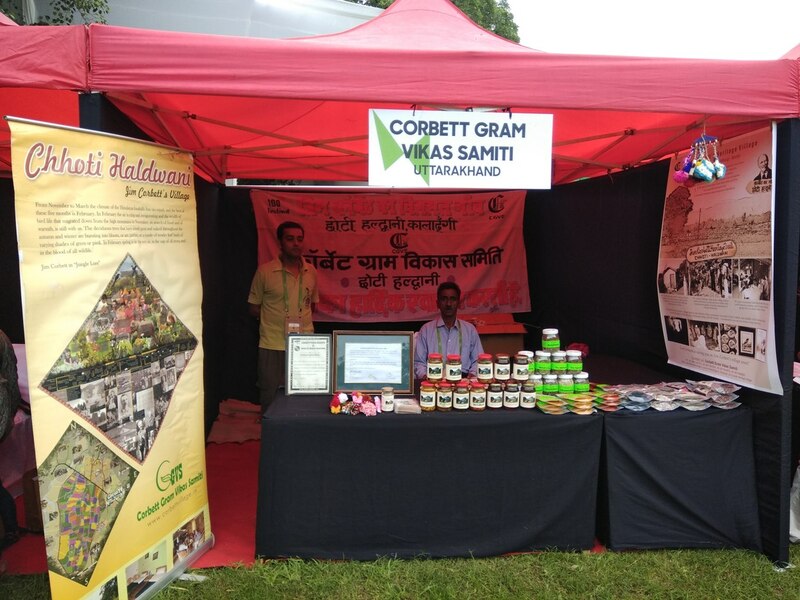 Jim Corbett purchased Chotti Haldwani village a hundred years ago in 1915 to develop it as a self sustainable model Kumaoni village. 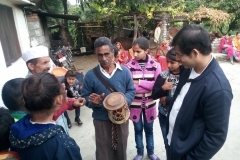 His experiences are described in his book My India. 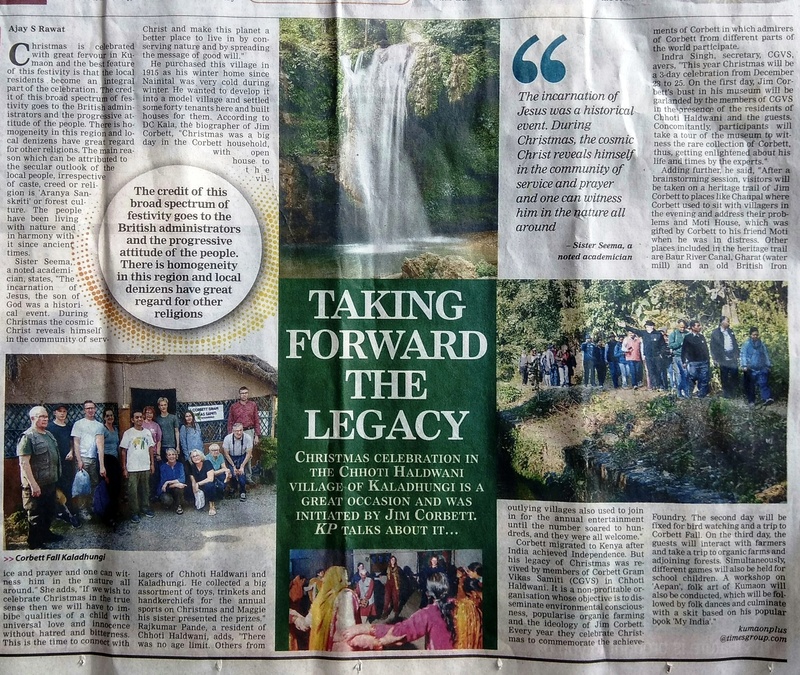 The festival each year commemorates the efforts of the community to realise the dream of conserving forests and taking the legacy of Jim Corbett forward. 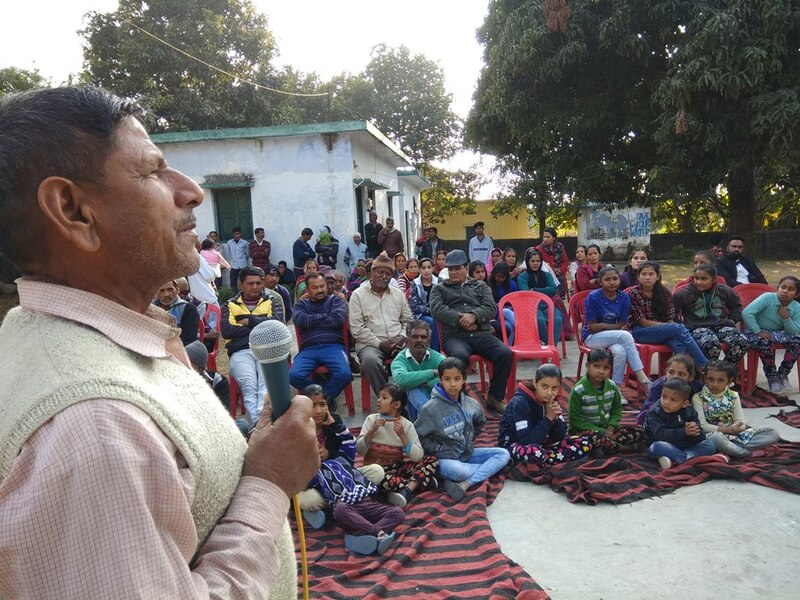 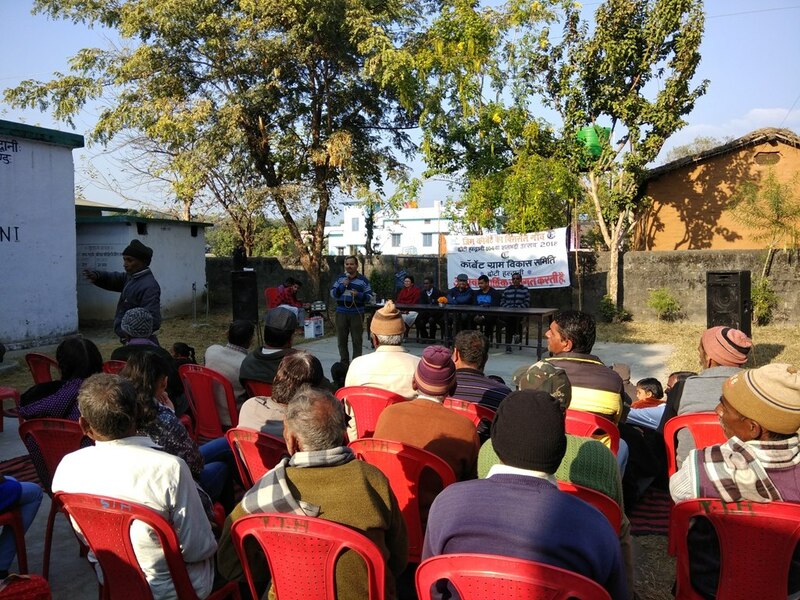 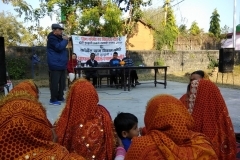 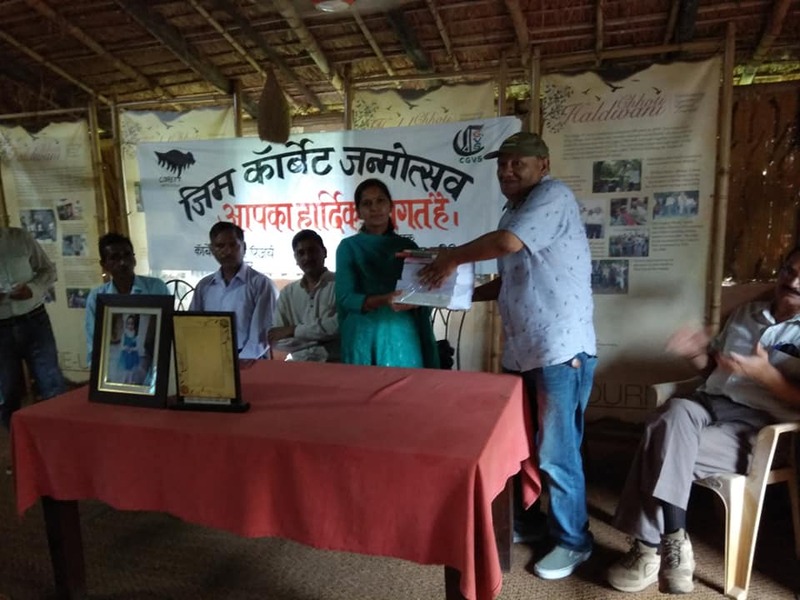 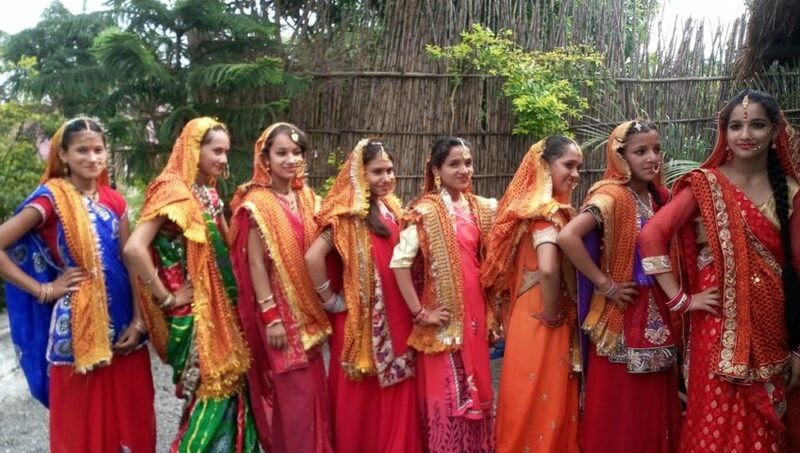 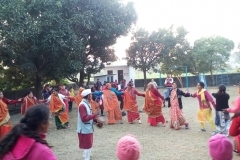 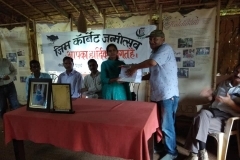 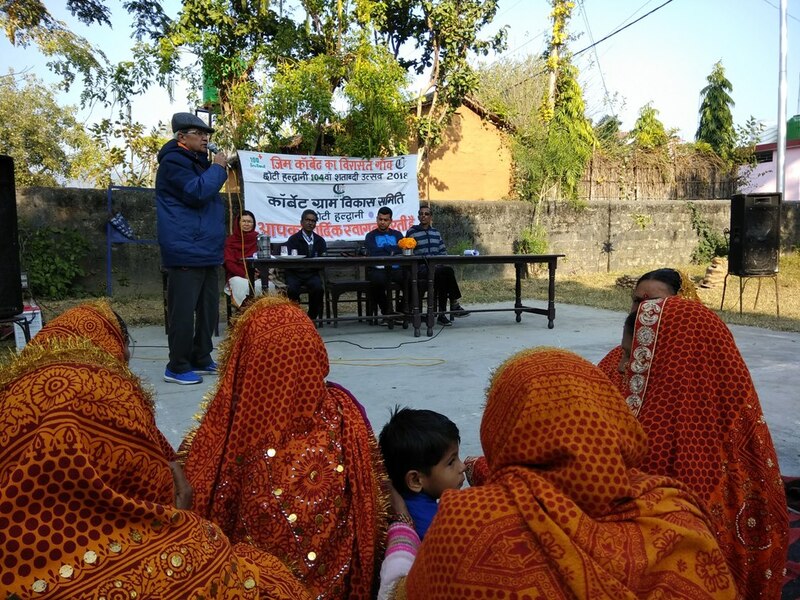 The 102nd Chotti Haldwani festival will be organized at the village and the surrounding forests by the community of Chotti Haldwani (CGVS) along with our supporting partners. 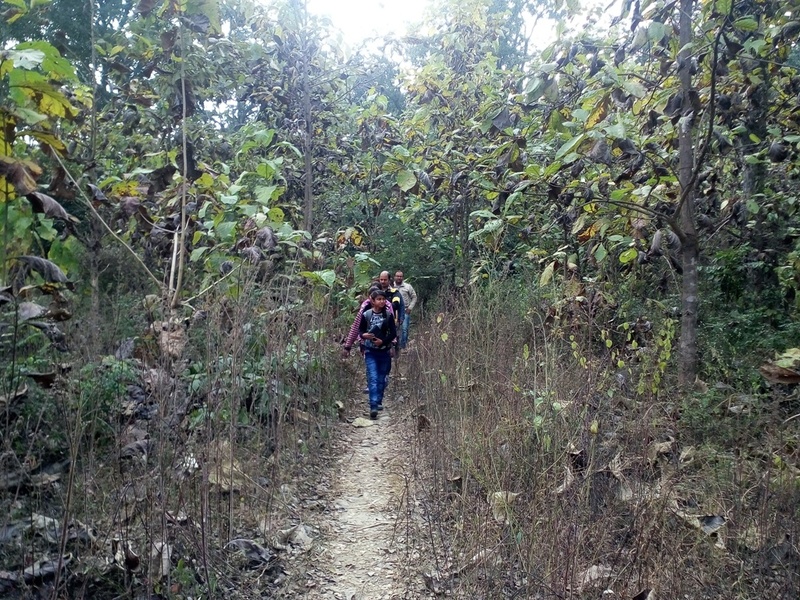 Travel (local and out-station) are not included, they may be arranged on nominal charges. 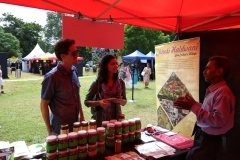 Looking forward to seeing you for the festival.